Not many people know the tools that a plumber uses in doing his job. Most people are just focused on how plumbers fix plumbing problems and install a plumbing system. Although these are the primary things that plumbers can do, there are several other services they can offer. Most people make do with the tools they have on hand, and for most things the tools you have lying around the house are usually enough to get the job done, but sometimes there’s those couple of jobs that seem just a little harder or take a little longer. Read more. 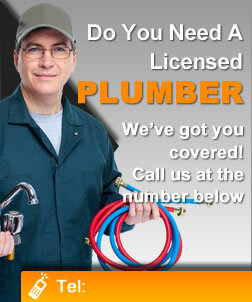 In order to perform the best plumbing services, a plumber needs his complete tool kit. Pipe problems can only be resolved once the correct plumbing tools are utilized. A toolbox with all the necessary tools for plumbing is essential for both professional plumbers and homeowners. There are minor pipe issues that any able person can fix by just using the right tools. Channel locks – This is also called tongue and groove pliers. Channel locks are essential in pipe works and have been a major tool for plumbing. Two channel locks are typically used at the same time to stabilize and unscrew the pipe. Pipe Wrench – This is probably the most used tool for any plumber worldwide. Pipe wrenches have multiple purposes and are used in a multitude of application. It can be used on pipes close to the wall. A compound leverage pipe is for seized joints, and an offset pipe is a great asset in tight spaces or for odd angles. There are different kinds of pipe wrenches and they come in different sizes. Basin Wrench – This tool is used to repair old faucets. Its main use it to tighten faucet holders and tap wares that are already loose. Professional grade models come with a telescoping shank that holds a 90 degree position for greater accuracy. Hole Saw – A hole saw is a basic tool that is used mainly for cutting holes in wood and concrete. Hose Cutter – The name of this tool does not actually fit its purpose. Hose cutters are used to cut perfect sizes and shapes in copper tubing. Rib-joint Pliers – This is an adjustable plumbing tool is mainly used for turning nuts, pipes, bolts, and fittings. It can also be used as a gripper. ey consist of a coiled-up metal cable with a crank that pushes and rotates the cable at the same time. Metal File – Once a pipe has been cut, its edges can be smoothened out through the use of metal files. Fire-Resistant Cloth – Fire-resistant cloths are used when working with combustible surfaces. Safety has always been a priority to any plumbing service. Screw Drivers – This tool should be present in the home. 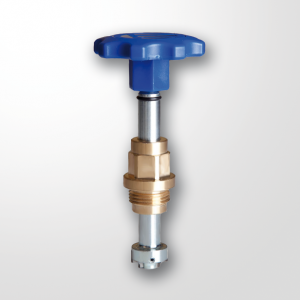 Even without the supervision of a professional plumber, this tool can be extremely useful in many instances. There are various types and sizes of screw drivers. The right one should be according to the size and type of the screw. Caulking Gun – A caulking gun has a metal frame and a trigger that holds and applies caulk to seal seams around the edges of tubs and sinks. Caulk can be made of silicone or latex, and is used to bond a wide-range of materials. Toilet Auger – This tool is also known as the water closet augur or closet auger. It works like a sink auger only that it’s specifically designed for toilets. Toilet augers allow people to break up clogs and retrieve obstructions that are causing blockages. Faucet Packing and Washers – Faucet packing and washers are extremely useful if you are experiencing tap leaks from time to time. They are very handy and very convenient to use. Regular maintenance should be observed to maintain regular water supply in your plumbing system. Most plumbing issues are caused by poor maintenance. Consider getting a reliable plumber for major pipe issues instead of handling them on your own. There are emergency situations that a plumber may take too long to respond. In such cases, keeping certain plumbing tools in your home can be advantageous. Minor pipe issues, such as water leaks, can be fixed without the assistance of a plumber. Nevertheless, if the problem persists, calling an expert already becomes a necessity. Call us, we are always here! https://castlehillemergencyplumber.com.au.